Thief is a stealth based game, where the main character is a master thief in a medeival world. 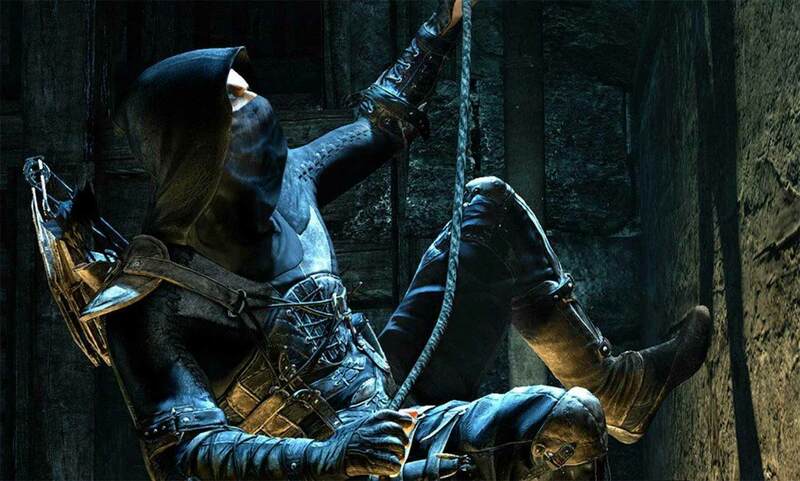 This is the fourth game in the Thief series developed by Eidos, which was released in late February 2014. It is the second game to support AMD Mantle and the first to support AMD’s TrueAudio. Using the integrated benchmark, Thief was tested with the Very High quality setting at the 2560×1440 resolution. 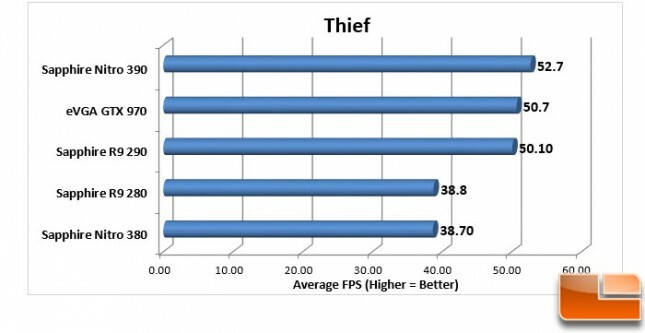 Benchmark Results: In Thief’s integrated benchmark, the 280 and 380 received identical scores. The more advanced cards, 290 and 390 received a 2.5 FPS difference.